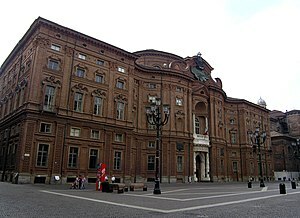 I love th historic center of Turin. 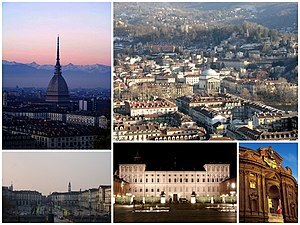 Turin was the center of the Kingdom of Savoy and Italy’s Unification. The original nucleous of the city was the Roman encampment sourrounded by walls that go back to the time of Emperor Augustus. One of the Roman gateways was transformed into a fortress in the Middle Ages and today is the Palazzo Madama with an 18th century facade designed by Fillipo Juvarra between 1718-1721. The main attractions include important Baroque palaces, monuments and churches like The Chapel of the Shroud, the church of San Lorenzo and Palazzo Carignano. There are also some world-class museums. Piazza Castello is the hub and nerve center of the city. The palazzi that surround the Piazza include: Palazzo Reale, Palazzo Carignano and Palazzo Madama. Palazzo Carignan was started in 1679 by Guarino Guarini. 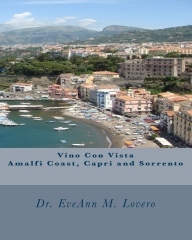 To understand the Savoy dynasty, visit the corona di delizie (crown of delights). There is a circuit of hunting lodges and summer residences that surround the city center. I loved my day trip to Reggia di Venaria Reale, the Royal Palace of Venaria. Visit the Biblioteca Reale, (Royal Library) with a Leonardo da Vinci self-portrait. Check out the Museum of Egyptian Antiquities, the largest collection outside the National Museum of Egypt in Cairo for ancient Egyptian artifacts. The Egyptian Museum is located on Via Accademia delle Scienze, 6, ☎ 011 561 7776. Founded in 1824 by King Carlo Felice after acquiring archeologist Drovetti’s collection, the museum contains 30,000 exhibits. It documents “the history and civilization of Egypt from the paleolithic to the Coptic era through unique exhibits and collections of objects d’art, articles of daily use and funeral furnishings (including the Altar of Isis, the canvas painted by Gebelein, the intact tombs of Kha and Merit, and the exceptional cliff temple to Ellesjia).” The museum is open every day except Mondays and Christmas (December 25th). Ticket are € 7,5. Turin is the European capital of Baroque including: Palazzo Carignano, Piazza San Carlo – the city’s meeting point and the San Lorenzo and San Filippo churches. Baroque also characterizes the Royal Residences, the Reggia di Venaria, the Castello di Rivoli. The city also has elements of Art Nouveau style that embellishes the city’s elegant architectural districts. 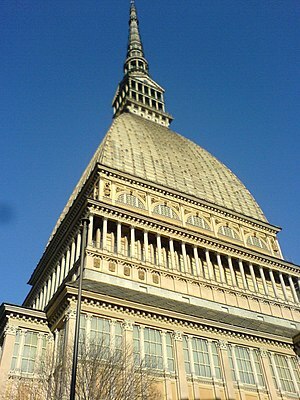 Turin was the capital of Italy and has plenty of contemporary art and design. Turin’s Armeria Reale (Royal Armoury), Piazza Castello, Turin, Italy, ☎ 011543889 contains one of the Europes best arms exhibits, dating back to the 16th century. 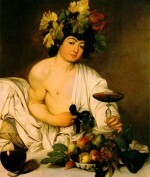 The collection was put together in 1833 by Sardinian King Charles Albert. There are 15 Savoy Residences that are UNESCO World Heritage Sites. 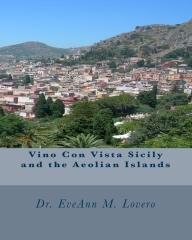 http://whc.unesco.org/en/list/823. They represent an important cultural route for travelers. 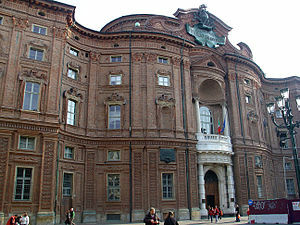 Five of the sites are in the city: Palazzo Reale, Palazzo Madama, Palazzo Carignano, Castello del Valentino and Villa della Regina. The others are outside the city boundaries: the Stupinigi Hunting Lodge, the castles of Rivoli – hosting the important Museum of Contemporary Art, Moncalieri, AgliÃ and the Reggia di Venaria. 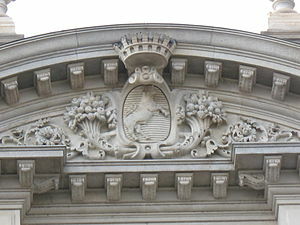 The residences were completed around the middle 18th Century and are also known as the “delightful crown” because they surround Turin like a ring. Palazzo Madama in Piazza Castello was recently re-opened after a long refurbishment. It was home of the Queen, and is a mix of medieval and baroque rooms. There’s plenty of art religious art and scenes of life in Torino. Palazzo Carignano, Via Accademia delle Scienze 5 (close to Piazza Castello). Castello di Rivoli is located in the small town of Rivoli, east of Turin. It houses one of Europe’s most important Contemporary Art Museums. The Castle of Rivoli is a unfinished XVIII castle that stands on top of Rivoli hills. Corso Francia (France Road) is one of the world’s longest streets and was built because of the desire of the House of Savoy to connect Royal Palace in the center of Turin with Rivoli Castle. You can reach it by bus or taxi. La Venaria Reale outside the town of Venaria, 10 kilometres north east of Turin. Restored to the baroque magnificence that inspired it when it was built in the mid 17th century for duke Carlo Emanuele II di Savoia, the Reggia of Venaria Reale was inaugurated in October 2007, after two centuries of abandon and decay, and eight years of intense restoration. In the first year since it opened to the public, Venaria Reale has welcomed approximately 1.000.000 visitors becoming one of the most popular spot in Italy. The enormous palace, which has a surface area of over 80,000 square metres, contains some of the most outstanding examples of European baroque architecture: the enchanting Salone di Diana, designed by Amedeo di Castellamonte, the solemnity of the Galleria Grande and the chapel of Sant’Uberto, and the immense complex of the Scuderie, designed by the 17th century genius, Filippo Juvarra. The Gardens now represent a close combination of ancient and modern. 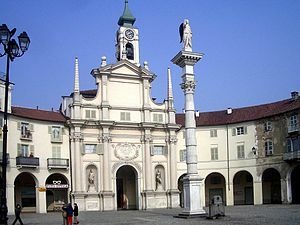 Venaria Reale, which was declared a World Heritage Site by UNESCO, is at the centre of the circuit of Royal Residences in Piedmont. To get there: Venaria Express” shuttle bus operated by GTT (freephone number: 800 019152 http://www.comune.torino.it/gtt Bus: routes 72, 11 (phone number: 800 019152 – http://www.comune.torino.it/gtt) Train: Turin-Ceres line (free phone number: 800 019152 – http://www.comune.torino.it/gtt) Car: Torino Nord orbital road, Venaria or Savonera/Venaria exit. GTT bus ticket with return € 5.Entrance to the Venaria 15 €. If you follow my posts, you know that I love to visit churches. In Turin, I went to the Basilica di Superga, the Gran Madre (Holy Mother Church). Cathedral of Superga is on top of the hill near Turin. This cathedral was built to celebrate a victorious battle against French. Take a trip to Superga by train from Sassi to see the magnificent Vino con Vista panoramic view of Turin. The Cathedral houses the tombs of the House of Savoy. In 1949, a plane carrying the entire Turin FC team crashed near the cathedral, killing one of the greatest football teams ever. At the crash site a plate memorializes the dead. 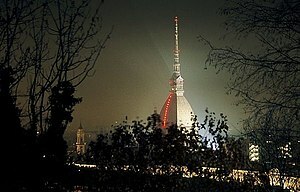 The top of the hill offers the best view of Turin, with the magnificent Alps in the background. You can reach the top by car but also by a little chain-train. Ask for the Trenino per Superga3. Visit the Duomo, the Church of the Consolata. Inside the Duomo, the Holy Shroud (also known as the Shroud of Turin) is conserved, underneath Guarini’s dome erected between 1668-1694. The Cathedral of Saint John the Baptist, Duomo di San Giovanni. The Cathedral’s Chapel of the Shroud houses the controversial Shroud of Turin, in a vault below the Duomo. The Museo Nazionale del Cinema is a vertical structure located on 5 floors in in the magical Mole Antonelliana building. In 1914, Giovanni Pastrone’s Cabiria silent film, with subtitles by Gabriele D’Annunzio debuted in Turin. 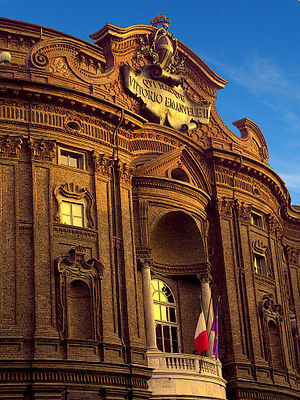 Today Turin hosts the highest number of movie theaters per capita. The Mole Antonelliana was completed in 1888 as a synagogue. The 167.5-meter tower is the highest work of masonry in Europe and it now contains one of the finest cinema museum of Europe. 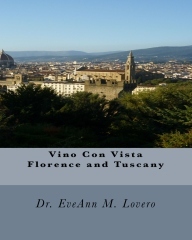 An elevator to the top offers a breat-taking vino con vista with the price of a ticket. The National Cinema Museum opened in July 2000. The 5-story exhibition includes themes: Archaeology of Cinema, the Video Camera, a collection of cinema posters, video installations (including a number of small rooms screening clips on themes such as Turin in the movies, love stories and experimental film) and The Great Temple (where you recline in comfortable red chairs and watch classic Italian films projected on giant screens overhead). There is a collection from the Maria Adrianna Prolo Foundation including magic lanterns, optical illusions, photographs, drawings, models and other curious items. You can see the original cape worn by Christopher Reeve in Superman. The Museo dell’Automobile at Corso Unità d’Italia 40, has a collection of over 170 vehicles, from 18th-century carriages to Formula 1 cars. Quadrilatero Romano, filled with restaurants in the old Roman town, northwest of Piazza Castello. Via Garibaldi, a pedestrian shopping zone between Piazza Castello and Piazza Statuto. 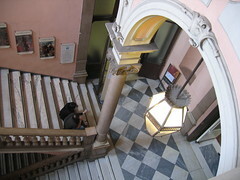 Galleria Subalpina, a pedestrian passage from Piazza Castello and Piazza Carlo Alberto. It is one of the most elegant places in the city. Valentino Park, the biggest park in Turin central area. This park is located along the Po river where you can find the Valentino Castle and the Medieval Village (Borgo Medievale). I loved the Porta Palazzo market, 5 minutes from Piazza Castello. It is one of the biggest and most diverse markets in Europe. The markets are open every weekday morning and all day Saturday. On Sunday Porta Palazzo houses a smaller flea market. Travel to Piedmont´s picturesque Langhe region, the home of Barolo, Barbera and Barbaresco. Visit the Slow Food town of Bra, Alba (home of the white truffle festival). Barolo is a delightful wine hamlet, crowned with a castle. Grinzane Cavour is another village with a stunning castle where the annual truffle auction takes place. 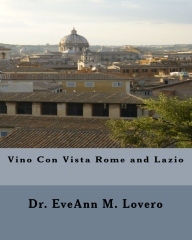 .In Turin look for a tour of wine estates in Langhe. 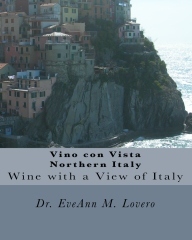 Head south to the vineyards of the Langhe. Visiting wine estates and the castle of Grinzane Cavour, which also houses a wine museum and regional wine shop with many top Barolos, Barbarescos and Grappas.